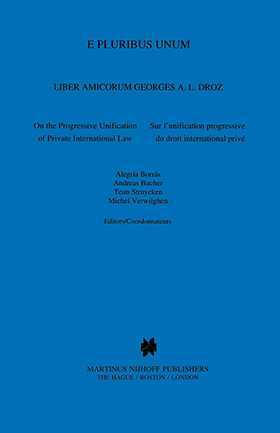 The unification of Private International Law is a goal to which all the contributors to this impressive volume have committed themselves, and one which seems increasingly to attract the attention of legal practitioners, researchers, writers and legislators. The essays give a unique overview of the current state of the law with respect to those areas which have been unified, or which are susceptible to unification. Insights are given into national as well as international practice, and theoretical aspects have not been neglected.